Courtesy of Jackie L Halderman, Sibcy Cline Inc.. Sprawling 2,700 (approximately) SF all brick ranch with hard to find 4-car (tandem) attached garage. Over an acre lot nestled at the end of the cul-de-sac & private rear yard which is adjacent to the Hobart Urban Nature Reserve. Features 4 bedrooms, 3 full baths. $5000 decorating allowance to buyers to assist in cosmetic changes/updates. Spacious formal entry. Pocket doors lead to large great room. Formal dining room. Large kitchen with loads of countertop space, cabinets, island with Jenn-Aire grill, pantry & bay window overlooking peaceful setting. Newer bedroom & full bath added approximately 7 years ago ideal for in-law or teenager suite. Loads of cabinet space in mud room off laundry room. Efficient geo-thermal heating/cooling system. Take a hike through the nature reserve out your back door. Deck off kitchen overlooks the wooded lot. Easy access to I-75, I-70, airport, WPAFB, shopping & dining. Loads of potential. Includes 1-Year Hometrust Warranty. Please, send me more information on this property: MLS# 787619 – $265,000 – 255 Tetbury Road, Troy, OH 45373. 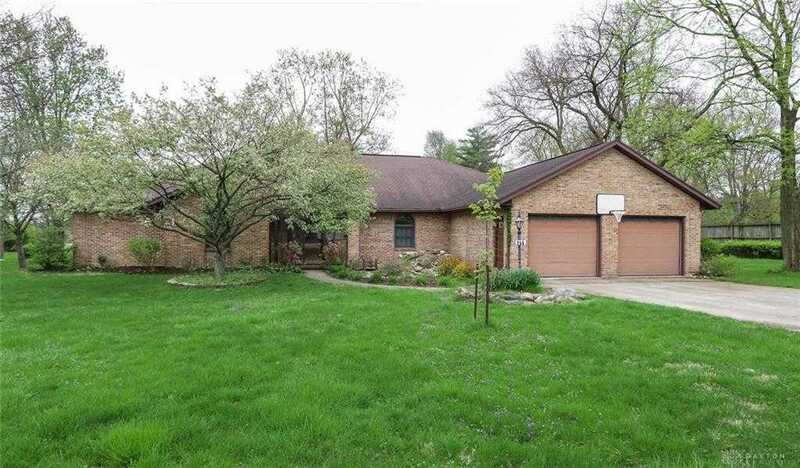 I would like to schedule a private showing for this property: MLS# 787619 – $265,000 – 255 Tetbury Road, Troy, OH 45373. Copyright © 2019 Dayton Area Association of REALTORS. All Rights Reserved.